Do you own a retail store or restaurant in Atlanta or Alpharetta? Are looking for an easy way to change the atmosphere of your establishment? Painting can be expensive and in time, you will need to repaint! 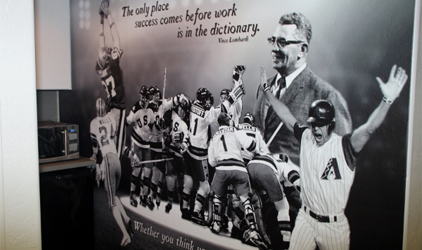 Why not consider wall graphics, wall murals or digital wallpaper for your retail store or restaurant? This type of interior signage can even boost morale in an office setting. Using our large format printer, we are able to print images and graphics on heavy-duty adhesive vinyl and installation is a snap. Restaurants – Take down those boilerplate pictures and instead make use of that wall space. If you own a country-specific restaurant such as Italian or French, digitally printed custom wallpaper showing the Leaning Tower of Pisa or the Eiffel Tower are much more appealing and add ambience to your eatery. If your restaurant is geared towards children and families, fun graphics, cartoon images and bright colors are an absolute must-do if you want to keep visitors enticed. 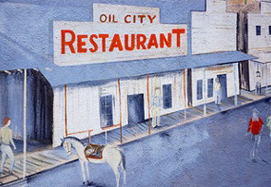 Or, we can create wall murals that change the setting of your eatery. For example, walls that look like bricks, wood or stone. The possibilities are endless! Retail Stores – Again use wall murals and graphics to make your retail space inviting. We can print product images, logos, brand names and even help you save space with department wall graphics to reveal where the girl’s, boy’s or women’s clothing sections are within your store. Add high-fashion custom wallpaper full of digital images of the brands you sell. Add fun designs and graphics if you cater to children or infants. Brand your store with logos, mottos and slogans. Offices – Brighten up the atmosphere in break rooms and conference rooms. Embed logos, slogans or graphics of the products or services your employees work with every day. 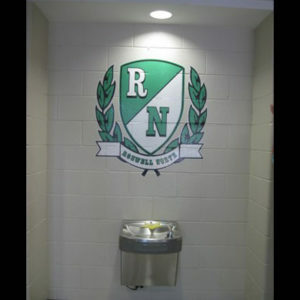 Use wall graphics in cafeterias or childcare centers. Keep in mind using our design software and large format printer, we can embed almost anything including images. Service Centers – From franchised auto dealerships to the independent repair center to handyman retail spaces, wall graphics can lead and direct clients to the right location. They can also display your logo and help brand your business each and every time they are viewed. 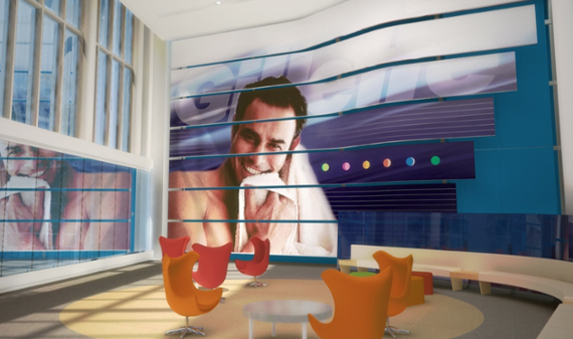 Or, as we like to say here—sell your message with inviting wall murals, graphics and custom wallpaper! 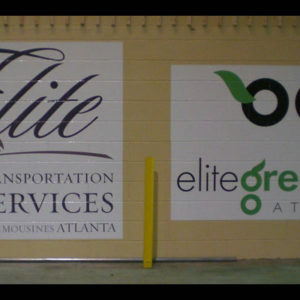 Apex Signs and Graphics proudly serves the Atlanta and Alpharetta. We also serve the cities of Roswell, Milton, John’s Creek and Sandy Springs and the counties of Fulton, North Fulton, Cobb, DeKalb, Cherokee, Gwinnett and Forsyth. Let us show you how affordable these types of interior signs are an inexpensive way to advertise, market, brand, inform and entice!